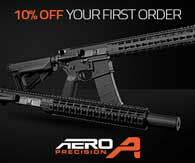 A reader at 308AR.com provided us with a heads up of the AR15 Turned Parts Set available here. 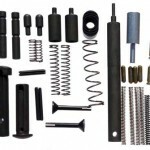 The made in USA AR15 Turned Parts Set is essentially an AR-15 Lower Parts Kit minus a trigger kit, pistol grip and bolt catch. This is great because AR15 builders and shooters often do not use these parts that are included in traditional lower parts kits. The cost of the AR15 Turned Parts Set reflects the omission of the aforementioned parts. 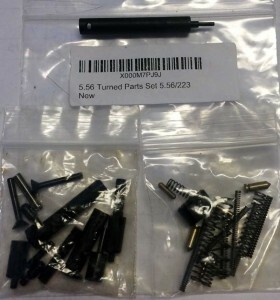 This kit also is a perfect spare parts kit to keep in your shooting bag. The cost is not the only reason to consider buying this kit. In an unusual step the manufacturer includes two tools to help with the installation of the the roll pins and front take-down detent. I don’t expect these tools would replace my specialized tools from Brownells they will, with proper use work for the the shooter needing the tools just once or twice. Remember to cover your lower receiver with masking tape anytime your installing the bolt catch pin!